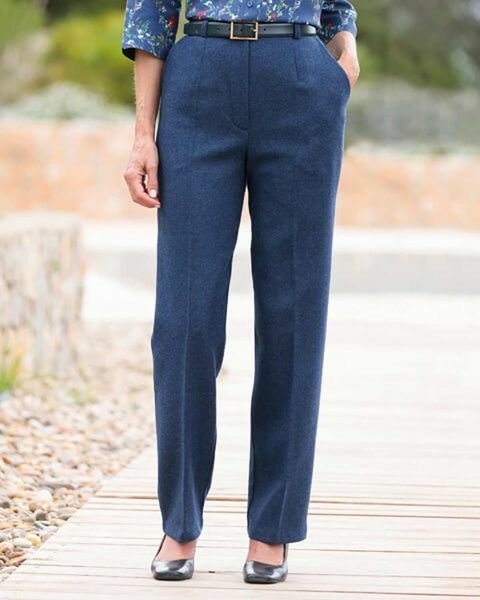 Ladies half lined flat front style trousers featuring button and zip fastening with side seam pockets and belt loops. Side back waist elastication ensures a comfortable fit. Medium weight pure wool midnight blue tweed. Woven for us in the UK. A great, sophisticated trouser.